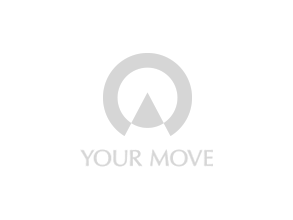 Your Move Glenwood estate agents Chadwell Heath are able to offer our customers a wide range of estate agency services, including sales, lettings, financial services, and conveyancing. Our team has over 50 years’ experience within the industry with a proven record of selling local property. As a franchised estate agency we are able to offer our customers large scale professional marketing coupled with a bespoke and personal service commonly associated with independent estate agents. If you’re looking to buy a property in Chadwell Heath we look to assist our buyers by trying to establish the type of lifestyle they are looking for in the area and can provide a number of closely related services. We work with a range of landlords from experienced landlords with property portfolios to those looking to let for the first time. We offer our landlords three packages to fit their needs including tenant find only, rent collection or fully managed. As a tenant looking to rent a property you can expect regular email updates with new properties on the market. Chadwell Heath lies within the M25. This area of Greater London is close to Romford town centre. Romford is a historic market town with extensive shopping facilities and amenities. If travelling to our branch by train, exit Chadwell Heath station, turn left onto Station Road, turn right at the end of the road onto High Road, and our branch is located on the left-hand side.